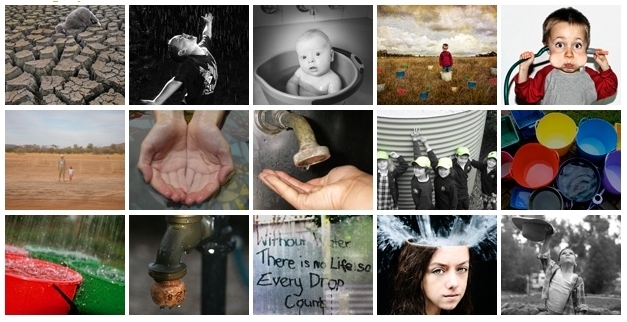 15 finalists have been announced for the Savewater! awards® Photographic competition, Australia’s largest water conservation photo competition, and with water conservation imagery the key focus, allows the Australian public to get creative and capture water. “With three sub-categories; primary, secondary and general, the photographic element of the savewater! awards provides an avenue for both students and the general public to express and portray their thoughts/awareness of water conservation,” said Rebecca Mooney, Marketing Coordinator of the savewater!® Alliance Inc. Winners and finalists for this year’s program receive some fantastic prizes, with the winning Primary and Secondary schools receiving $1000 cash, and individual winners and finalists receiving Nikon digital cameras and iPod shuffles. Winners are announced at the awards Gala Ceremony on Friday 9 October 2009. The savewater!Alliance works with member water businesses, government agencies and product companies to deliver water conservation programs throughout Australia. savewater!® offers a combination of web resources and practical programs to help all Australians change the way they use water. See the final 15 here.